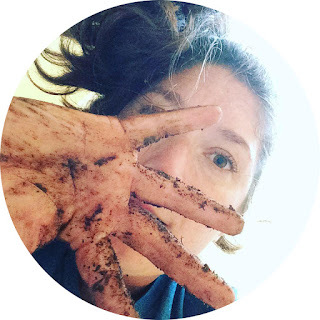 Each Friday I am posting a weekly guide for prepping your home vegetable garden. In Raleigh, the last killing frost date is April 11 (on average, give or take a week), so my first weekend for planting outdoors is April 9. 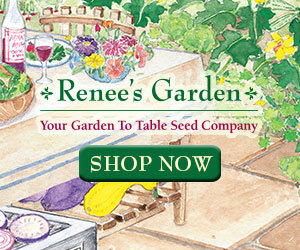 Do you have a cold frame? Joe built me one last year so I could move my plants outside and our family could once again eat in our dining room. A cold frame isn’t essential, but it does have several advantages. 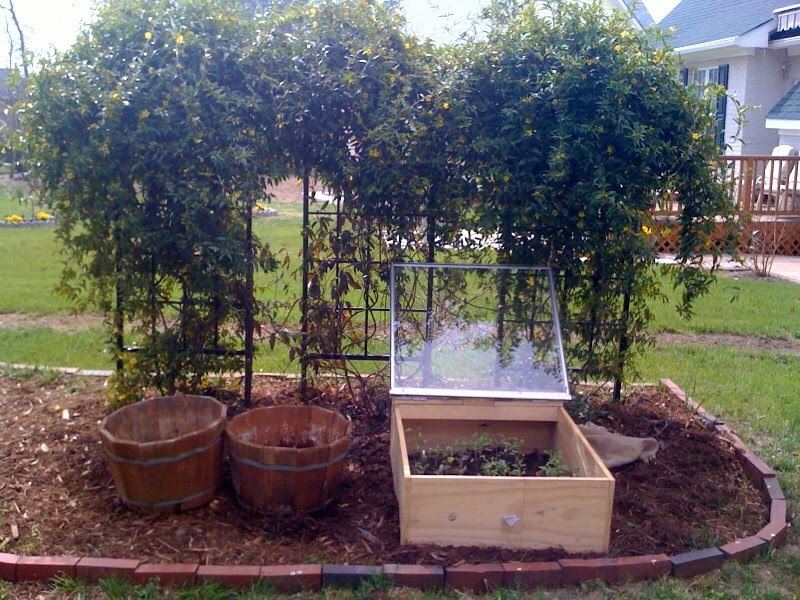 Cold frames allow you to warmly store plants outdoors by letting in the sun and trapping the heat while it is still too cold to put them in the ground. If you have a larger garden and start most your plants from seeds, keeping all the sprouts indoors can be impractical. The cold frams can also help gently acclimate sprouts to the cooler outdoor temperatures, a process called “hardening off”. 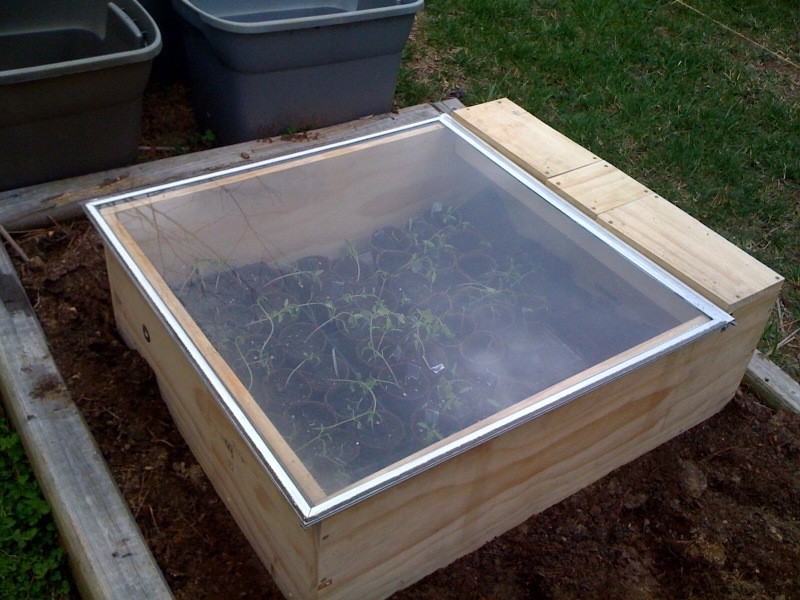 A cold frame can be as simple or as fancy as you like. We made ours out of reclaimed materials, which gave me the warm greenies. Once your sprouts have their first set or two of true leaves, relocated them to the box and make sure they have something to filter the light for the first several days as their leaves will be prone to burning.